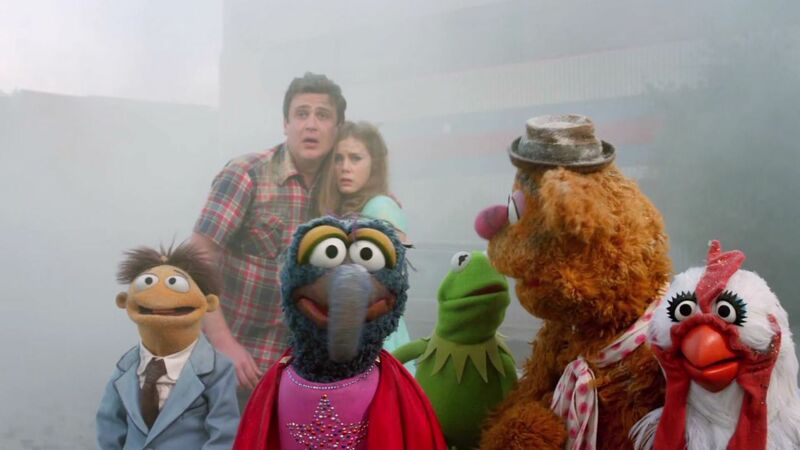 Jason Segel, Amy Adams, Kermit, Miss Piggy and the rest of the Muppets star in this all new 2011 Muppets movie. Have a great vacation. Hi. Two people, searching for love. This is the most romantic thing ever. I've always dreamt of seeing Los Angeles. I was just wondering what the plan was for dinner tonight. Oh, I don't care. What do you feel like? Ok. I'm going to go for a walk. I forgot my anniversary with Mary. You know when you've been trying to figure something out. You can't figure it out. And you figure it out and you're like: Duh! But sometimes, you have to break your heart, to find your other half. Your my best friend. I love Mary. I love her so much and I can't lose her. I love you too. Kermit the Frog. Hi there. Miss Piggy? Wow, wow, wow, wait, stop. Are there Muppets in this movie? Yeah, yeah. Now come on guys, let's go!